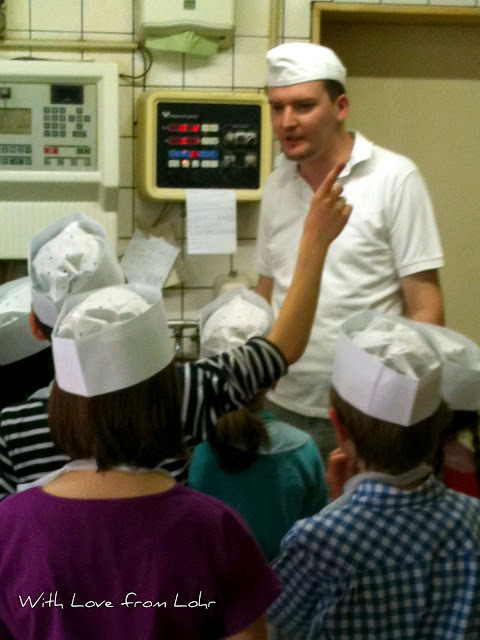 As part of the first holy communion preparation course, the kids had to visit a bakery and learn how bread is made. Due to other commitments, I could not accompany them. And DH refused to take the cam along, hence we have pics from the iphone. On return, all I waited was to see the shots of the entire process. 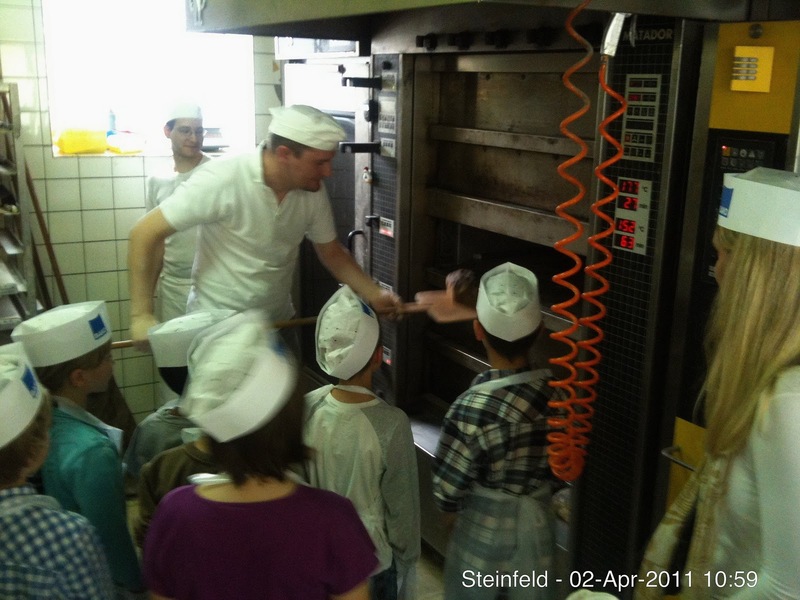 Before beginning, they had to wash their hands, don an apron and a bakers hat. 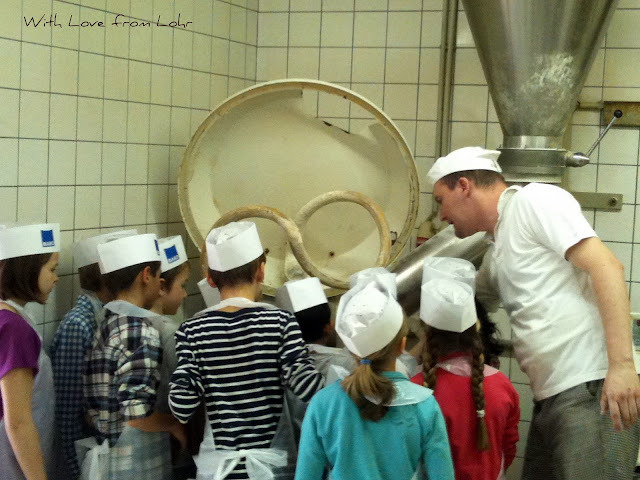 Here, they are all gathered with the head baker, who is explaining the process of baking bread. The patterns are made and the bread is laid neatly on the trays. Into the oven it goes, to get all brown and golden. They were given a bread each to take home(not the one they baked). 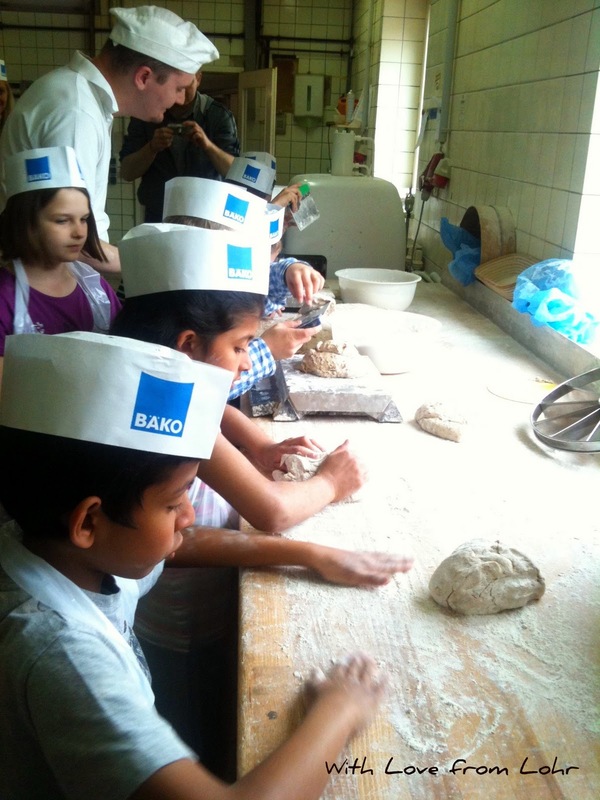 I am hoping that they will get the ones their little hands made next week. What a great experience for the kids! Hope you have a wonderful Sunday! What fun, I hope they do get a chance to eat their own bread. What a GREAT field trip. 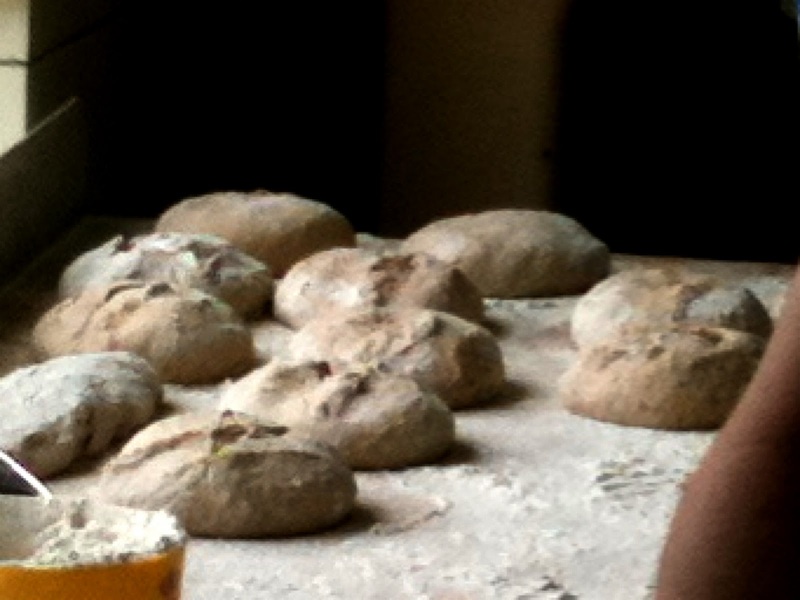 I can almost smell that bread baking! 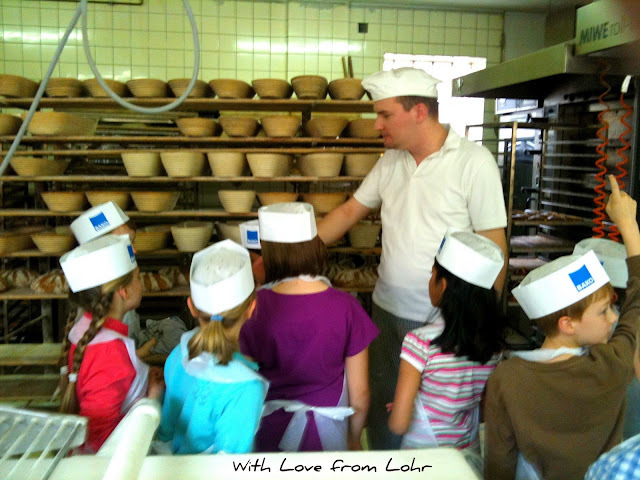 Oh the smell of fresh baked bread! I bet the kids enjoyed every bite of their creations and had a great time. I think that is a wonderful learning experience.